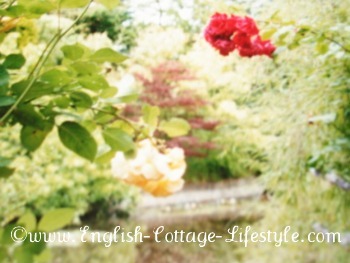 July Calendar For The English Cottage Garden. Cottage garden July calendar. Thing’s to do in the cottage garden this month. Your main gardening jobs this month will be dealing with the heat. July can be the warmest and driest month of the year. If your plants are not getting enough water naturally then make sure you water the plants frequently especially hanging baskets and containers. Keep an eye on pests and diseases mainly greenfly and black fly (both aphids) and slugs. Your vegetables and fruit will be providing you with quite a harvest during summer, salad vegetables like lettuce and onions will need lots of water. That being said, the main reason you properly have a garden is to enjoy it in the summer, so grab a book or a cool beverage and sit on your favourite bench and enjoy the fruits of your labour. Temperatures vary all over the country and your garden will have it’s own micro climate so take that into consideration. You may need to adjust this July calendar a little for your own cottage garden but it’s a good place to start. 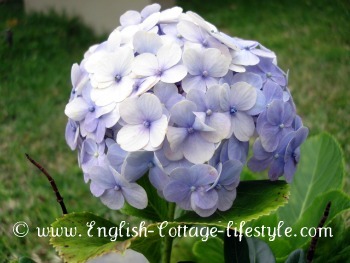 July Calendar: Flowering Cottage Plants. Stork Dahlias especially tall varieties and water often. Tie up all larger plants this month. Delphiums can be cut back as well as geraniums to encourage a second flush of flowers. Take cuttings from pinks and carnations also hydrangas and pelargonums. Dead head all fading flowers especially sweet peas, do not let them go to seed; they will stop blooming. 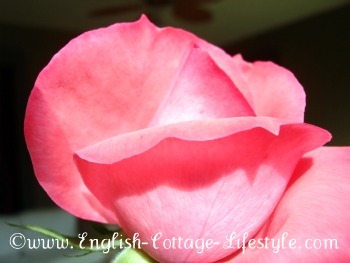 Roses may need feeding after the first flush of flowers to encourage the second flush of flowers later in the summer. Tie in climbing roses. Divide clumps of bearded irises if they are overcrowded. Camillias need water and food for better flowers next year. Sow the flowers you like such as Perennial Alyssum, Anemone, Clematis, Daisy, Myostis (forgette-me-not) Michaelmas daisy, Perennial pansy, panstemon, polyanthus, Primrose, biennial Viola, and Wallflower. Wisterias first pruning can be done towards the end of the month. Harvest time: broad and French beans, beetroot, bulb onions, cabbage and cauliflower, carrots, celery, cucumber, kale, lettuce, peas, early potatoes, radish, spinach, tomatoes, turnips, rhubarb and Swiss chard. Sow the vegetables you want to eat such as beetroot, broad and French beans, carrots (for continuation) spring cabbage, lettuce, peas and radishes. Many fruits are ready to harvest. If they are swelling they need a lot of water. Raspberries, blackberries and other cane fruit should be tied in. Summer prune red and white currants and gooseberries and thin immature apple trees in the areas where it has grown too thick unless the "June drop" has done this naturally. Plum trees to be trimmed before the middle of the month (never trim too much cottage garden trees should be full, the way nature intended.) Water in dry weather. July Calendar: General Cottage Gardening Jobs. Keep weeding by hand in the flower beds and continue to hoe the vegetable patch. Weeds are easier to remove when they are young and the soil is damp. Trim hedges if they are getting unruly. Water often especially hanging baskets, containers, young trees, fruit, salad vegetables and onions. Ventilate greenhouse and clean the glass and any surfaces to remove pests and diseases. Water plants daily, always water into the soil not on the leaves; the sun could scorch them.